UM Renegade Duty 230 has been spied testing again. The motorcycle sports a halogen headlamp and LED DRLs on the sides of the fork. The bike will be UM's most affordable, entry-level product. The bike was spied before, and that motorcycle featured spoke wheels. However, this particular one features alloy wheels. Expect UM to offer both the variants. The front end gets telescopic fork, and the rear comes with twin shock absorbers. Expect the tyres to have the brand’s proprietary Anti-Flat Sealant (AFS) to sweeten the deal further. This eco -friendly tire sealant not only handles punctures, but also has balancing properties. This eliminates the need for wheel balancers. Powering the UM Renegade Duty 230 is a 230 cc single cylinder mill with air cooling. It reportedly makes around 18 bhp of power. It is likely that the engine with work in tandem with a 5-speed gearbox for cut-throat pricing. Speaking of which, the website reports that the UM Renegade Duty 230 costs around INR 1.2 lakhs, ex-showroom, Delhi. The brand’s plant in Uttarakhand will manufacture the bike and will be sold via all UM dealerships. 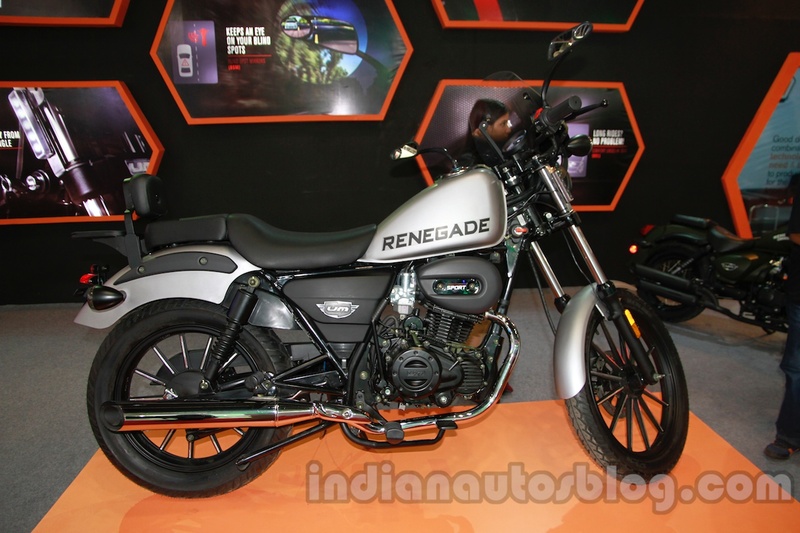 UM showcased a bike with a similar design, under the name Renegade Sport at the 2014 Auto Expo in the country. The bike comes with a single pod instrument cluster which is likely to have a digital screen to show the fuel level. The split seats complement the upright ergonomics. 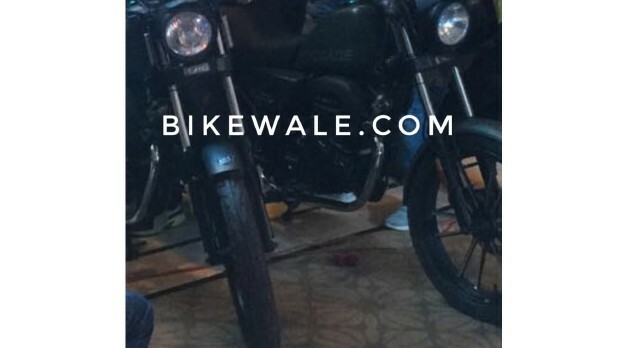 The company is likely launch the bike at the 2018 Auto Expo, next month. Primary competitors include the Suzuki Intruder 150, Royal Enfield Bullet and the 2018 Bajaj Avenger 220 range.